Today dawned with fog and it stubbornly remained until after mid-day. At 2:00 PM I still can’t make out the mainland five miles distant. 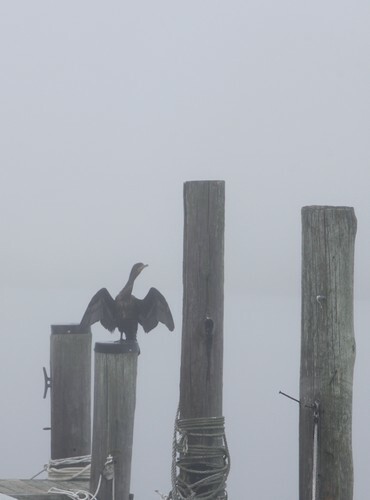 A foggy day…something different, right? But if I go out am I really going to find something worth showing? The ducks (below) made me get out and start shooting. It was fun. This fellow was having a tough time drying out in the soup. My friend who owns these docks comes almost everyday from the mainland to work on his projects. He always begins by feeding the ducks. 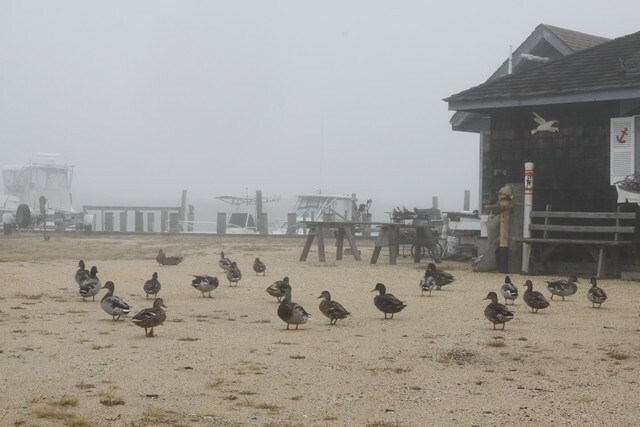 I guess the fog kept him off the roads this morning and the ducks are hungry and confused. Reminder: keep your foraging skills honed; the free lunch may not always show up. 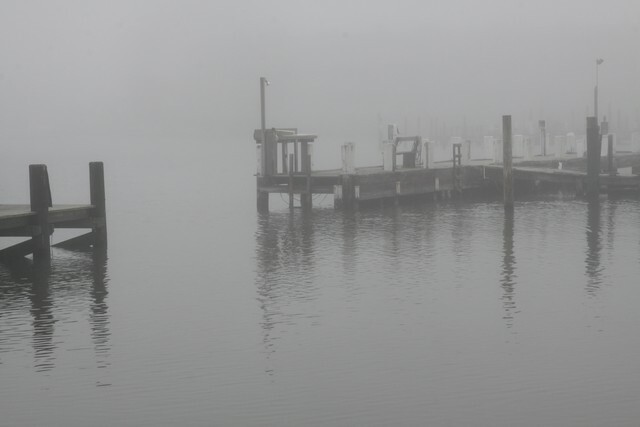 Here is the quintessential fog scene: dark, impenetrable, deathly still, foreboding, mysterious. Will Charon come paddling out of the mist? A few more images from the morning can be seen by clicking here. Nice photos and story Ralph. Thanks for sharing. Always look forward to seeing your photos……….I even recognize the locale! I was walking on the beach during that fog and was afraid I wouldn’t find my way back to the path. It was dense. Great pictures and your dialogue is also interesting! As always, I’m much impressed with your work. 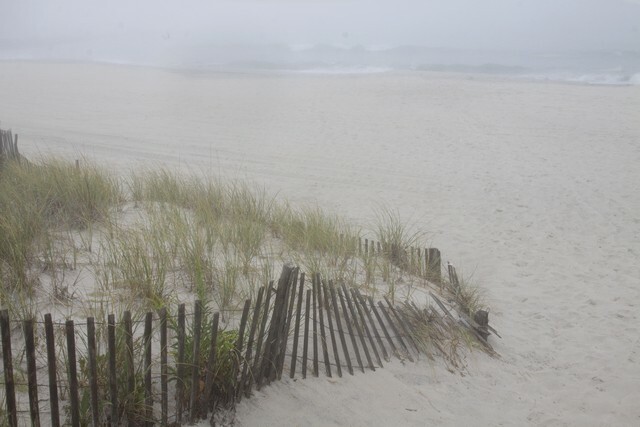 “Not a beach day” spoke volumes for us with perpetual sand between our toes. Rather than Charon, I thought it might be Caroline or Milt……………..